GelreDome is a purpose built football stadium located in the city and municipality of Arnhem. 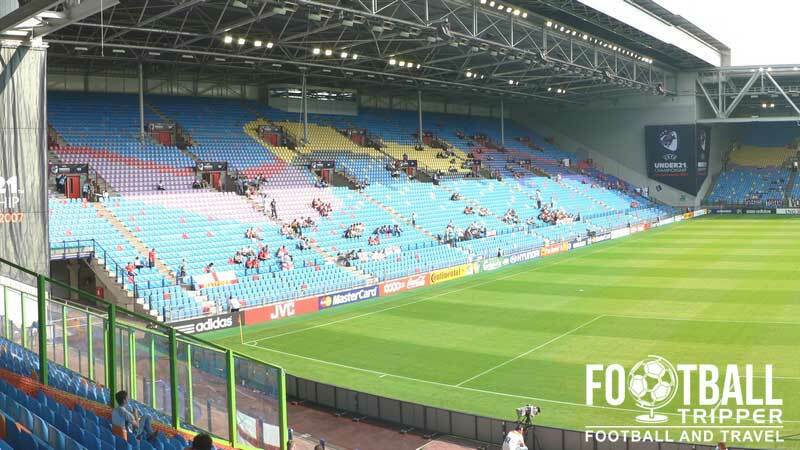 Home to FC Vitesse which holds the distinction of being the only Dutch Football Club owned by a foreigner, the 25,000 capacity ground first opened in 1998 and was used as one of the venues for the Euro 2000 tournament. The GelreDome first opened on the 25th March 1998 in order to host matches of the Euro 2000 tournament which was set to be co-hosted by both Netherlands and Belgium, although plans to build FC Vitesse a new stadium pre-dated this by over 20 years. Since the 1980s the club have have explored the feasibility of constructing a new stadium but the president, Karel Aalbers’ plans only came to fruition in 1996 when construction began. 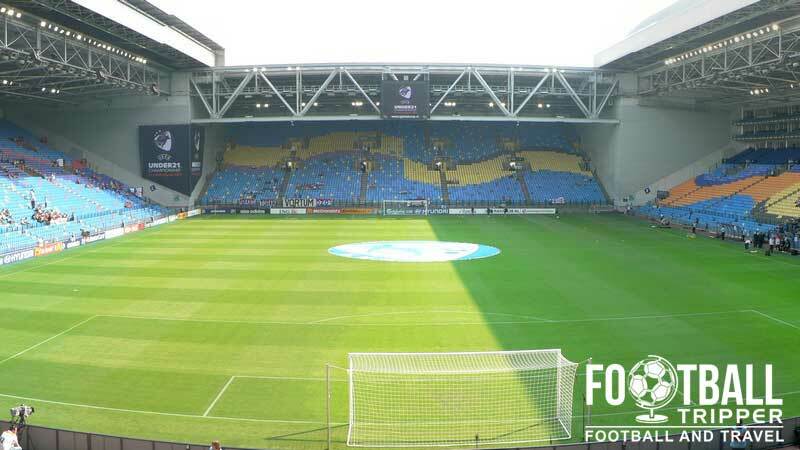 The 29,600 capacity stadium’s first match was held against NAC Breda with the home side winning 4-1 with Vitesse essentially having one and a half seasons to break the state-of-the-art facilities in, in time for the European Championship. The GelreDome’s innovative stadium design included a fully retractable roof and pitch with climate control allowing it to be used for a variety of non-sporting events such as much concerts. During the Euro 2000 tournament itself, GelreDome hosted three group matches in total: Turkey v Italy (1-2), Romania V Portugal (0-1) and Slovenia V Norway (0-0) with many commentators praising the stadium for its match day atmosphere and suitability for the occasion. Sadly, it was not included in the 2018 World Cup bid by Netherlands though as the design was not expandable, meaning that the 44,000 capacity required would have economically unfeasible. 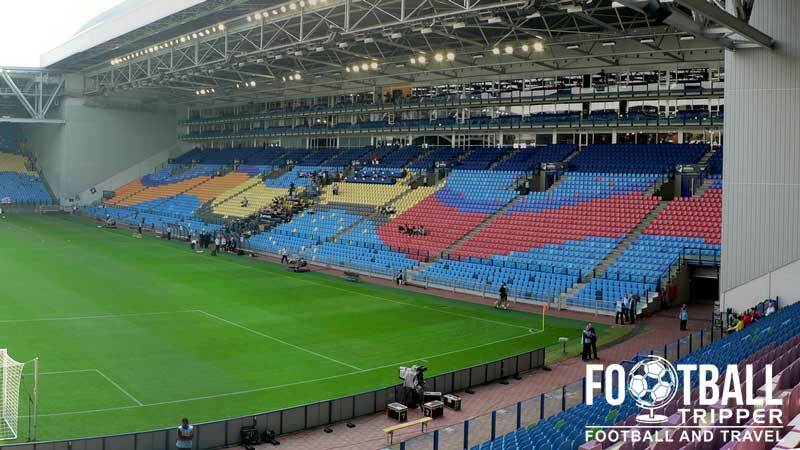 Despite Vitesse being unable to qualify for the Champions League since moving to the stadium, the GelreDome has hosted a handful of high-profile European matches as clubs have opted to use it as a back up venue. 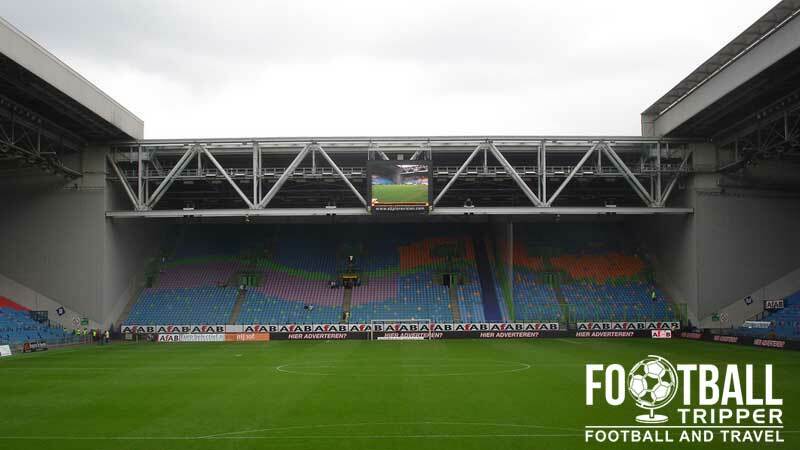 First in 2001, PSV Eindhoven used it for a Champions League game and then FC Twente have twice since used it including a 2008 match against Arsenal and then FC Vaslui in 2011 when some of the the roof collapsed at De Grolsch Veste. GelreDome Stadion is comprised of four stands: North, East, South and West. Commonly referred to as Vitesse Arnhem outside of the Netherlands, the yellow and black team hold the distinction of being the first Dutch Football team to be owned by a foreigner. Faced with mounting debts, the club was sold to Georgian investor Merab Jordania in 2010, who immediately declared that they would win the Eredivisie Championship within three years. Obviously this hasn’t happened, however the fortunes of the small team from Arnhem have dramatically improved with the club returning to European Football during the 2012/2013 season after a 10 year absence. Unsuccessful in reaching the group stages of the Europa League in two attempts after defeats to FC Anzhi of Russia, and the Romania side Petrolul Ploiești, Arnhem will once aain try again during the 2015/2016 season when they take on plucky English side Southampton FC. The distinctive yellow and black colours of Vitesse Arnhem who are known as both Vitas, and FC Hollywood on the Rhine. Away fans are usually housed within the eastern side of the northern goal-end which takes up around 25% of the entire stand. Separated from the home supporters by the metal fencing on one side, and one of the roof’s pillars on the other, fans can gain access to their seats through Gate Q.
Whilst you can get a beer before the match there aren’t loads of pubs immediately around the stadium. There is a McDonalds to the left just as you enter the stadium amongst the other standard range of match day grub on offer. Vitesse run their main club-shop out of GelreDome stadium, but they also have a basic webstore where fans can also purchase official merchandise from. One of the many mobile merchandising stands that you may see around the GelreDome on matchdays. It doesn’t appear as if either Vitesse or the stadium’s operators currently offer tours of the facilities at the GelreDome. If this changes in the future we’ll be sure to update this section. 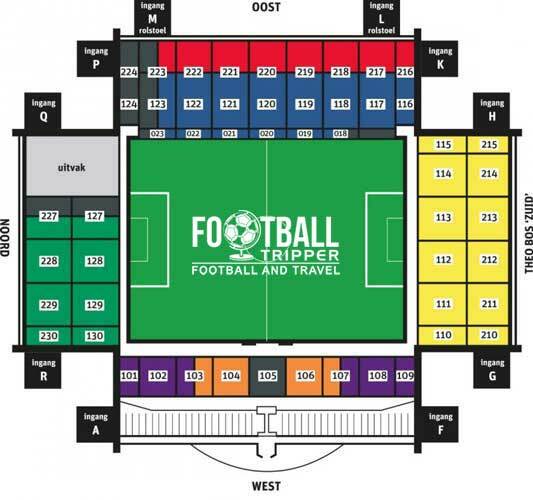 Tickets to see Vitesse in action usually go on sale online anywhere between 3-4 weeks in advance of the match with tickets also available to purchase from the box office at the stadium. Any unsold tickets are then available to purchase on the day of the match from the stadium from 10.00 am onwards. For Category A matches which are against high-profile opposition please add on an additional €5.00 surcharge onto the price. The GelreDome sits exactly 3.0 km south of Arnhem city centre beyond the river Rhine with the resulting walk likely to take the average person just over 35 minutes at most. The famous badge of Vitesse adorns the main entrance of the Gelredome. Arnhem railway station is centrally located and is well connected to the rest of the Netherlands and Europe with direct services to Utrecht, Amsterdam, Cologne and Frankurt. On matchdays there is often a shuttle bus service which picks fans up from outside the station, and drops them out at the Gelredome. There is also a public bus service which can be taken to Vitesse stadium on days when there isn’t an event on. Bus Number 7 in the direction of Rijkerswoerd also departs from outside Arnhem central station, and will take you to the ground in approximately seven minutes. Gelredome is capable of accommodating up to 4,000 vehicles per match, however for some matches it appears that you may have to book your parking ticket in advance. Always double check with the official GelreDome website. The view of the Gelredome from the other side. Note: the very limited parking available on site! Although Arnhem lacks its own airport, the relatively small size of the Netherlands means that there are several other airports located within a 90 minute radius of the city. Amsterdam-Schiphol Airport – the largest in the Netherlands is probably the most popular of them all, and is connected to Arnhem via train in 75 minutes with one-way tickets likely to cost you just under €18.00. Located out of town there are literally zero hotels within the immediate vicinity of the stadium. Back within Arnhem city centre however there are plenty of reasonably priced options including the Best Western Plus, Holiday Inn Express and Hotel Modez.